It’s becoming harder to find, but we’ll show you where to get free music free without raising the hackles of the RIAA’s legal beagles. Free music is hard to come by these days. The industry seems obsessed with having us rent music via subscription services instead. Even Apple has done away with its Free on iTunes section (after bringing it back for a few months earlier this year) so it can push its new Apple Music service. But free, legally downloadable music still exists online; you just have to know where to find it. Here are five services that offer free tracks with few strings attached. Google Play no longer offers a free daily track, but the Android app store still features free music—usually from up and coming artists—if you know where to look. Google Play now has a section called the Antenna Sampler, where you can find a selection of free songs (updated monthly) from up-and-coming artists in a variety of genres. To find this free music haven, go to the Google Play music page (not to be confused with Google Play Music—Google’s paid streaming music service) and either scroll down or hit Ctrl-F on your keyboard, type ‘free,’ and hit Enter. Near the bottom of the page you’ll see a section called Free Music—click See More to open up the current month’s Antenna Sampler. The September Antenna Sampler currently showcases 19 free 320Kbps MP3 files with album art included. In addition to free tracks, Google often gives away entire albums for limited periods of time: Last week it was Sia’s 1000 Forms of Fear; this week it’s Jason Derulo’s Everything is 4. Downloading free songs from Google Play is a multi-step process. First, you’ll need to “purchase” the track and add it to your Google Play library. To do this, click on the track to open the album page. At the top of the page you’ll see the price for the entire album (plus a Free Trial button if you haven’t yet tried out Google Play Music), but scroll down and you’ll see that the price next to the individual track is listed as ‘Free.’ To add this song to your library, click Free and go through the Google Play checkout process. 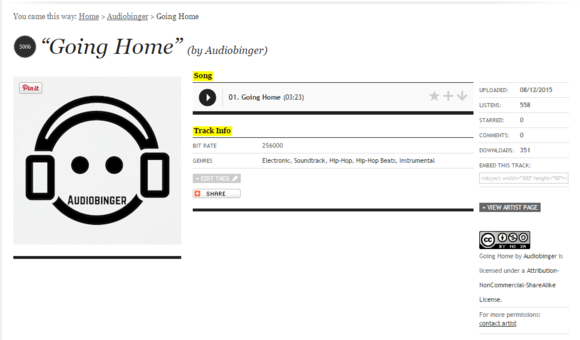 You can also listen to a 30-second sample of the song before you “buy” it by clicking the play button that appears when you hover over the track. To actually download the free song to your PC, so you can add it to iTunes or put it on your phone, you’ll need to open your Google Play music library. 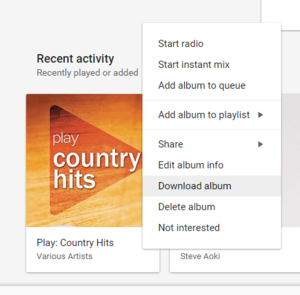 To do this, go to the Google Play music page and click My Music. Under Recent Activity you should see the song or album you just downloaded. Hover over the album art and click the vertical ellipsis button that appears to open up a menu. Click Download or Download Album(depending on whether it’s a track or an album) and the website will prompt you to either download the Google Play Music browser extension, which lets you download the track multiple times, or download the song directly (which you can do a maximum of two times). Amazon has thousands of tracks available for free: 46,480, to be exact (don’t get too excited, for some strange reason, hundreds of those tracks are Bible readings. In Bulgarian). But what’s nice about Amazon’s free music is that it’s easily sortable by genre, artist, release date, and even the average customer review score. 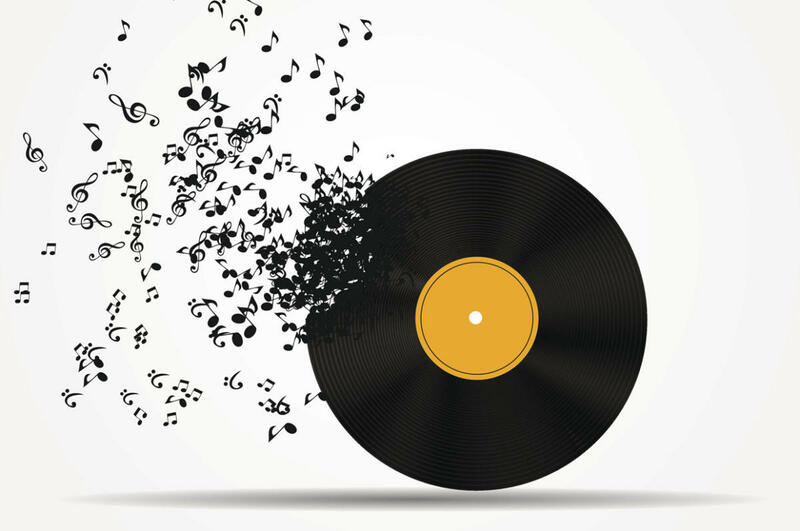 Genres include country, folk, rock, gospel, pop, rap & hip-hop, and soundtracks, though most of the free titles are simply categorized as “Miscellaneous.” The tracks you download from Amazon include album art and are of good quality (MP3s with bitrates between 217kbps and 271kbps). 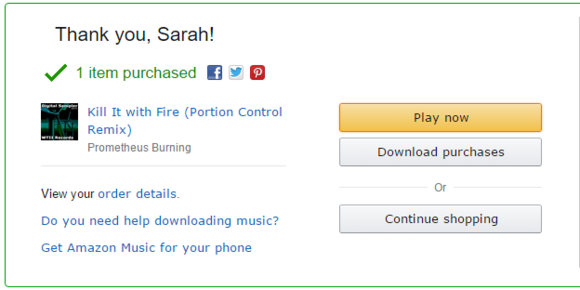 Like Google Play, Amazon first makes you “purchase” free tracks before you can download them. To buy a track, find the song you want to purchase and click the Freebutton to buy it right away, or click the cart button to add it to your shopping cart. Go through the Amazon checkout process and once you’ve paid (nothing, if you’re only buying free tracks), a screen will pop up with the option to download your purchases. 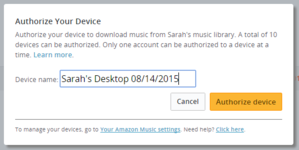 Click Download Purchases and Amazon will ask you if you want to download your songs through the Amazon Music app or if you’d rather just download them directly. If you choose to download them directly, you will be asked to authorize your device (you can authorize up to 10 devices) before choosing where to download your file. 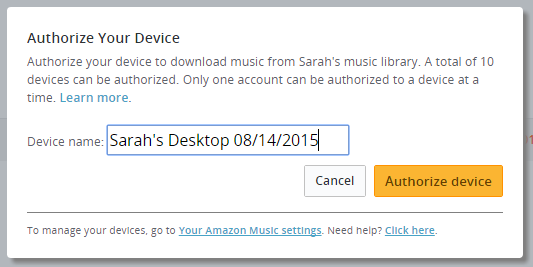 Unlike Google Play, Amazon does not limit how many times you can download each song. 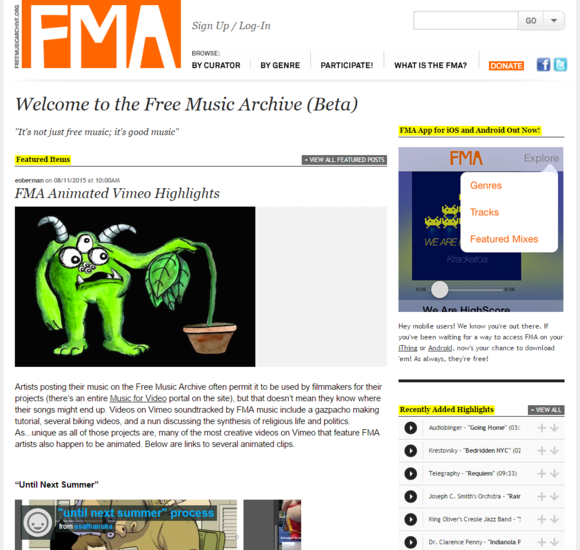 As you might expect from the name, all music on the Free Music Archive is free. Some of it is even pre-cleared for derivative work (if you want to use it in an online video, for example) under Creative Commons licenses. Most of the music you find on the FMA is from independent and/or lesser-known artists, but there are a few big names (Nine Inch Nails, for example) floating around. The FMA lets you browse music by curator (curators are mostly public radio stations) and genre, and you can also search for music based on CC license type. Downloading music from the FMA is ultra-simple: Just find the track you want to download and click the down arrow button to download it. You don’t even have to create an account. 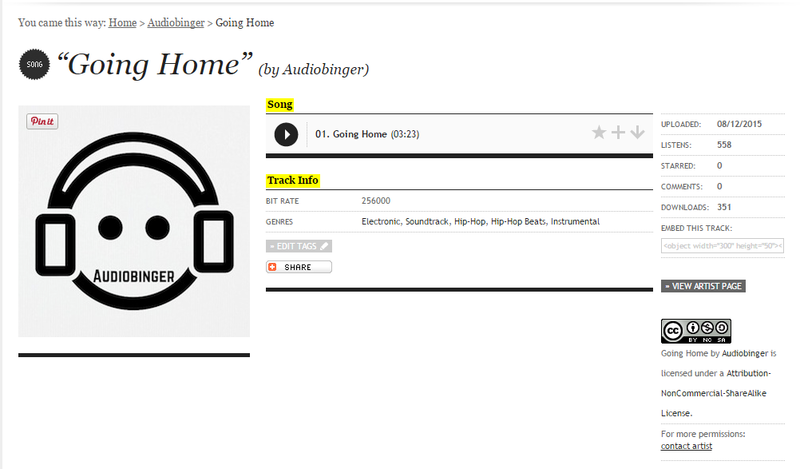 You can also click the play button next to any track to hear a full streaming version through FMA’s website. Tracks are good quality (MP3s with bitrates between 256Kbps and 320Kbps) but do not download with album art. If you want to use an FMA track in a project, you can find out the specific licensing for each track by clicking on the track name to open up the track’s page. In the lower right corner of the page, you’ll see what type of license the track has, as well as a link to exactly what that license entails, and a link to directly contact the artist if you want additional permissions.